Nasal polyps are growths that result from inflamed mucus membranes in the sinuses and nasal passages. They can extend to the opening of the nostrils, or even down to the throat area. These growths can block the nasal passages. Nasal polyps are often related to other chronic diseases and tend to last for long periods of time. Nasal polyps can occur along with many other respiratory diseases, such as allergic rhinitis, chronic sinusitis (due to bacterial and fungal infections), and asthma. It appears that nasal polyps are more common in people with non-allergic rhinitis and non-allergic asthma, rather than allergic types of these conditions. 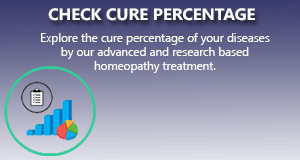 Homeopathy remedies has a successful cure rate in nasal polyps. Peoples suffering from nasal polyps can be greatly benefited by homeopathy treatment. The nasal blockage, stuffy nose, sneezing, supra orbital pain, runny nose can be cured successfully with homeopathy treatment.